Australia is on an Economic Hit List! 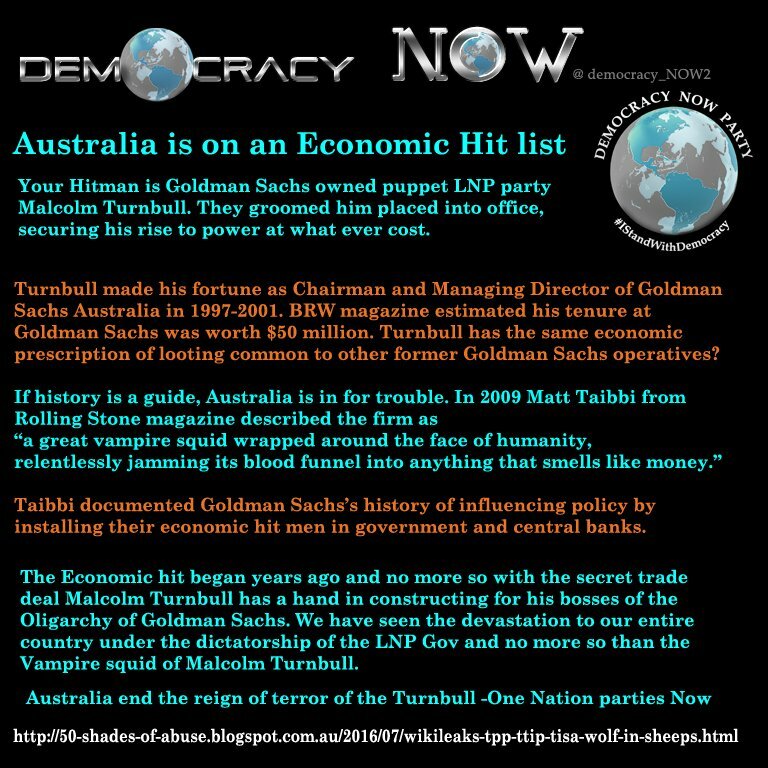 Turnbull Works for Goldman Sachs, Not Australians. This fantastic summary of the BIG PICTURE for Australia comes from the article "WikiLeaks TPP TTIP TISA - A Wolf In Sheep's Clothing"(1) It is posted here because it is important in its own right, as well as a part of the wider discussion of the TPP.